Around your home, drain outlets could be going uncovered, with twigs and leaves going in, blocking them up, and stinking. These drain covers solve the problem with style, beauty and panache. 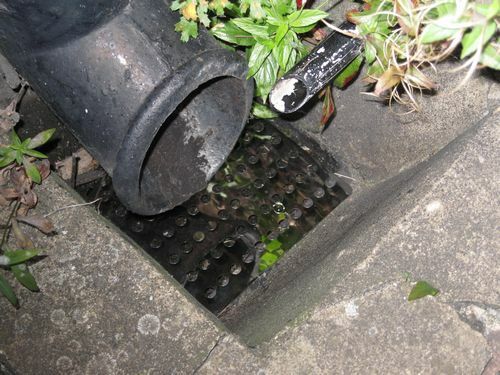 Just slip on a stainless steel guard and it will make your drain look great (or grate) too. We have noticed dots appearing on mugs, home furnishings, even art, so these are possibly also in fashion, snazzy, on trend a la mode. But of course you don`t need some website geek to tell you that. Stainless steel drain covers 6 x 6 in come in a set of 2, how many drains do you have? Drain Covers text, images and video are copyright.